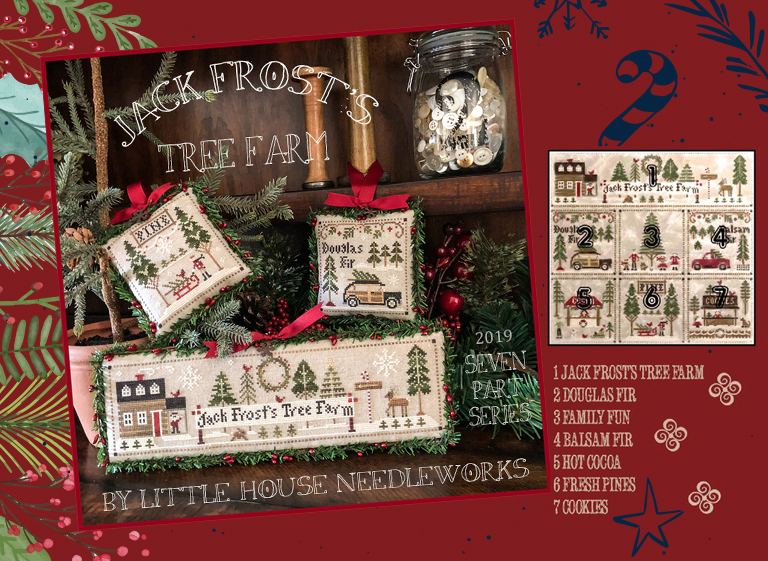 The new Little House Needleworks series is coming! Perfect for the fans of this brand, as well as for the stitchers who don't know it that well, yet, but would like to finally discover its delicate and delightful designs. The first pattern is coming in February - we're going to tell you exactly when, as soon as we're informed from the USA (while we're writing, we're still waiting for details) - and the following patterns are being issued every 5 weeks approx. Stitched all together, the seven little charts have a total stitch count of 183X173 (width X height), equal to 12 1/8" X 11 1/2" on 30ct natural linen. The first pattern is larger than the other six and can top them all, with its 183X49 stitch count. All other 6 patterns have a 59X59 stitch count. Do not forget to leave three empty stitched between the patterns. Even this time we have prepared a unique kit, including the linen, all the threads (1 DMC and 14 Classic Colorworks), the unique Needle Nanny from LHN ... and the first pattern. The kit can be purchased exclusively upon reservation for 69.50€. You can send your request/reservation by simply clicking here. At each issue of each pattern (please, bear in mind that six patterns ARE NOT included in the kit), we will email you to ask if you want us to send you the pattern immediately, or if you prefer to add anything to the shipment, so to save money on shipping costs. When we email you, you'll have 3 days to reply to us with your preference.